The Solar Charging Can fills the gap between large-scale residential photovoltaics and portable solar chargers for your smartphone. The unit unpacks quickly for camping, outdoor events, and other off-grid functions and is ready to use after just a half hour of assembly. In addition to recreational use, the unit can provide crucial power to mobile medical clinics, disaster relief areas, and refugee camps. 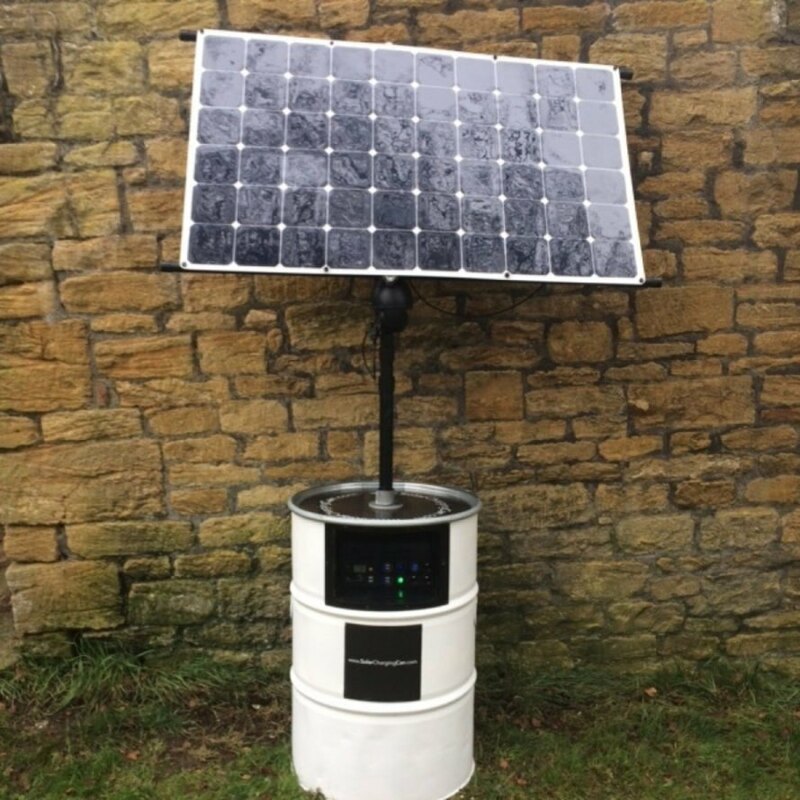 Mobile Solar Chargers Ltd developed the Solar Charging Can to be an impressively versatile unit that is easy to put together in a pinch. The basic model includes a 180W/18v 5.5A solar panel, which is both flexible and waterproof, on a retractable telescoping pole, as well as two batteries, a voltage regulator, and all other necessary equipment for the unit to run smoothly. An included anchor secures the can to the ground, but the added sand bags provide an extra dose of security. Upgraded versions can be purchased to include a WiFi router, additional panels, a remote CCTV camera, and LED lighting. The entire unit can be assembled in a half hour by two people, according to the website. And they can be custom ordered to meet the needs of the event it will serve. This is especially helpful for organizations that provide disaster relief support or intend to power housing for refugees for an extended amount of time. One Solar Charging Can starts at about $2,235 (£1,795). A telescoping solar panel charges the Solar Charging Can almost anywhere. The unit can provide renewable energy to off-the-grid events. The Solar Charging Can can be assembled and disassembled in a half hour.